Counselor, Tonya Willis, was recognized at last night's school board meeting for being a finalist for Texas School Counselor of the Year. 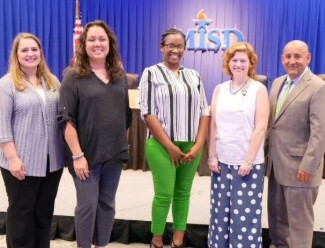 Mrs. Willis, pictured center, was honored with other finalists from the district. Thank you for all you do, Mrs. Willis!